Scientists Make A Shocking Claim That The Speed of Light In The Universe Has Slowed Down! In 1905, a 26 year old Albert Einstein changed physics forever when he outlined his theory of special relativity. This theory outlined the relationship between space and time and is founded on two fundamental assumptions: the laws of physics are the same for all non-accelerating observers, and the speed of light in a vacuum is always the same. Over the last century, Einstein’s theories of relativity (both special and general) have withstood the trials of experimental verification and been used to explain a number of physical processes, including the origins of our universe. But in the late 1990s, a handful of physicists challenged one of the fundamental assumptions underlying Einstein’s theory of special relativity: Instead of the speed of light being constant, they proposed that light was faster in the early universe than it is now. This theory of the variable speed of light was, and still is, controversial. But according to a new paper published in November in the physics journal Physical Review D, it could be experimentally tested in the near future. If the experiments validate the theory, it means that the laws of nature weren’t always the same as what we experience today and would require a serious revision of Einstein’s theory of gravity. If the theory turns true, that will be a BIG NUKE for physics, science and our understanding of The Universe in general. What’s the problem with The Speed of Light being an unchangeable constant? According to Magueijo, the variable speed of light (VSL) theory emerged as a solution to a longstanding inconsistency in cosmology known as “the horizon problem” which arises when the speed of light is considered to be a constant. No matter where you are in the universe, when you observe the cosmic microwave background radiation, today it is 13.7 billion light years distant. Imagine if light travels from one side of The Universe to another. It would take approximately 27.4 billion light years. In other words, the universe is too large to have allowed light to travel from one end of the other during its existence, which is necessary to account for the homogeneity observed in the cosmic microwave background. When cosmologists observe the cosmic microwave background it is remarkably uniform: its temperature is approximately -270 C no matter where it is measured with minuscule variance (one part in 100,000). 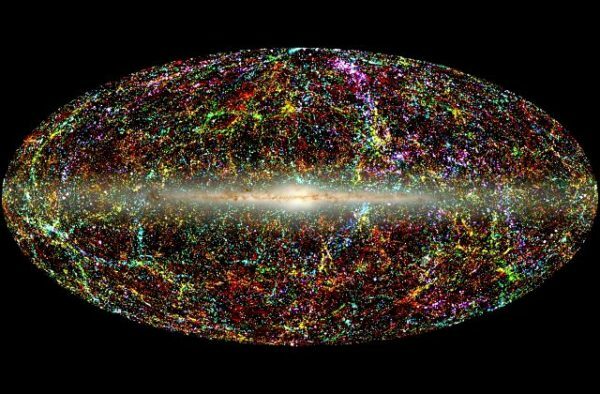 Yet if light, the fastest “thing” in the universe, isn’t able to travel from one side of the universe to the other over the course of the universe’s entire existence, this uniformity that is observed in the CMB would be impossible. To understand why this is the case, imagine a bathtub with a faucet at either end, one spigot producing cold water, the other would produce hot water. If you turn both of these faucets off, eventually the water in the bathtub will reach a uniform temperature as the hot and cold water mix. But if while the faucets are running you stretch the tub out in every direction so fast that the hot and cold water will never meet, one side of the tub will always be way hotter than the other side instead of a single uniform temperature. 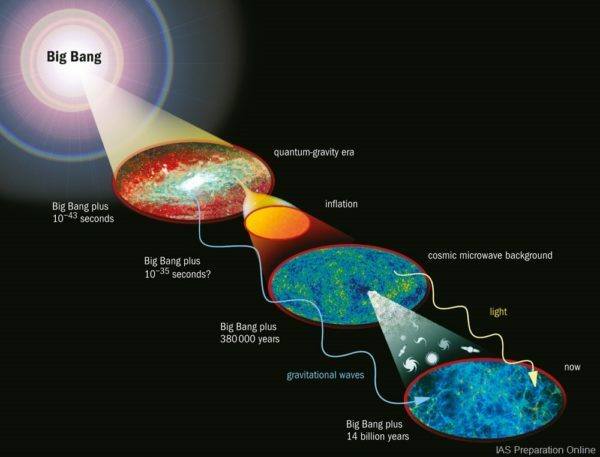 This is what happened during the Big Bang, except that rather than seeing parts of the early universe in the CMB that are way hotter or cooler than other parts, it’s perfectly uniform. So, how? How can this be possible considering light has a constant speed? The most widely accepted resolution to the horizon problem is called inflation, which basically states that the uniformity we observe in the CMB occurred while the universe was still incredibly small and dense, and it maintained this uniformity while it expanded. In this example, the hot and cold bath water reached a uniform temperature before the bathtub started its crazy fast expansion in every direction. This would allow the distant edges of the universe to remain “connected” as the universe expanded and would account for the observed uniformity in the CMB. So just how much faster was light speed just after the Big Bang? According to Magueijo and his colleague Niayesh Afshordi, an associate professor of physics and astronomy at the University of Waterloo, the answer is “infinitely” faster. The duo cite light speed as being at least 32 orders of magnitude faster than its currently accepted speed of 300 million meters per second. As you get closer to the Big Bang, the speed of light approaches infinity. On this view, the speed of light was faster because the universe was incredibly hot at the beginning. As the universe expanded and cooled below this temperature, light underwent a phase shift — much like liquid water changes into ice once the temperature reaches a certain threshold — and arrived at the speed we know today: 300 million meters per second. Just like ice won’t get more “icy” the colder the temperature gets, the speed of light has not been slowing down since it reached 300 million meters per second. If Magueijo and Afshordi’s theory of variable light speed is correct, then the speed of light decreased in a predictable way. This means that with sensitive enough instruments, light speed decay can be measured. 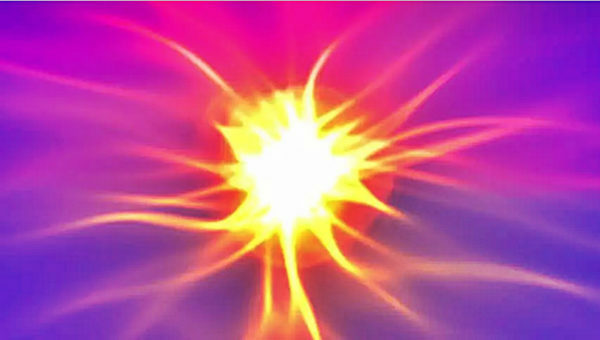 As you probably know, the speed of light is the boundary of time. The closer you are to the speed of light, the slower time passes for you. If you go faster than the speed of light you’ll probably travel back in time. Proving that the speed of light has slowed down means that the boundary of time has decreased. Or in other words, the overall time in The Universe has slowed down. This theory is crazy as it is but it’s even crazier what it implies if proven correct. “Varying speed of light is going back to the foundations of physics and saying perhaps there are things beyond relativity.” Says Magueijo. We are only scratching the surface of what we know. All we can do is wait and see what the scientists will prove from their experiments.